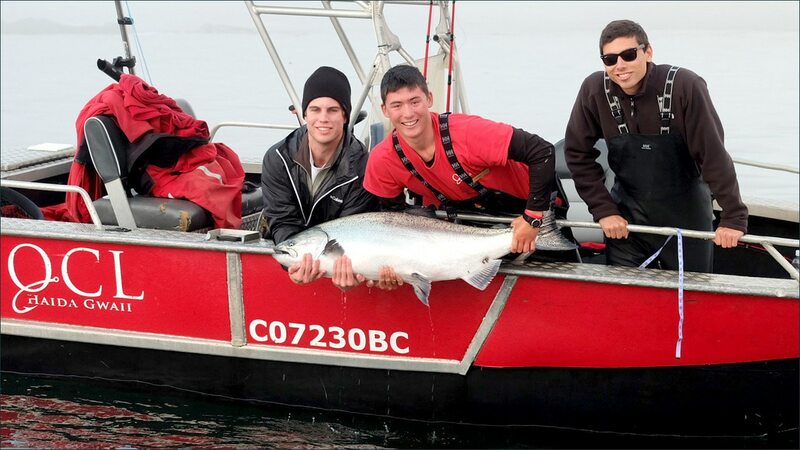 As we fish well into the month of August, big Chinooks are a pretty constant presence on the fishing grounds! QCL anglers are doing very, very well. Parker Point, Cape Naden and the Mazzaredo Islands seem to be producing most consistently, perhaps because that’s where most people are fishing! We’re getting them on both sides of the tides and at depths ranging from 70 feet on the rigger to 8 pulls on the back rod! Herring and anchovies have been producing equally well and we have guides who only fish with spoons outfishing lots of others! While we’re generally picking up beautiful 20-25 pound Chinooks and 8-10 lb coho for the fish box we’ve seen a marked increase in the number of really big fish in recent weeks and we’re pleased to say that most of these have been released. Those heavy giants over 40 pounds are really something special and we saw another 16 of them recorded this past week… plus 5 more over 50! 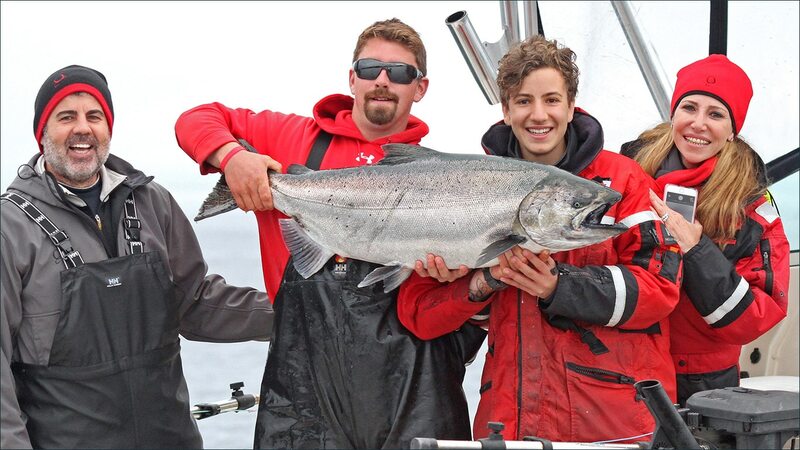 Hawaiian teenager Julian K, up for the first time with his dad, was fishing with QCL guide Leon Shaw when Julian reeled in the fish of the week, a stunning big Chinook that taped out to 60 pounds before Leon carefully revived and released it! 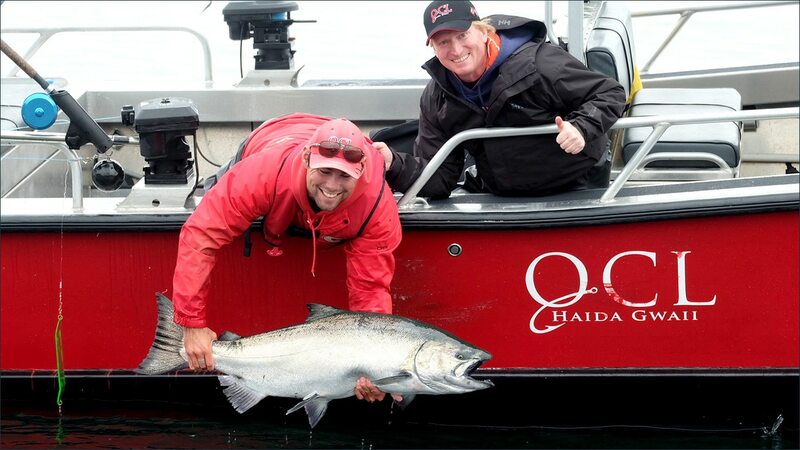 What a start to your Haida Gwaii fishing resume Julian! Fishing with guide Alistair Bryce last week, Gavin P released 35 and 55 pounders and his buddy Jake G turned back a nice 42 pound Tyee! 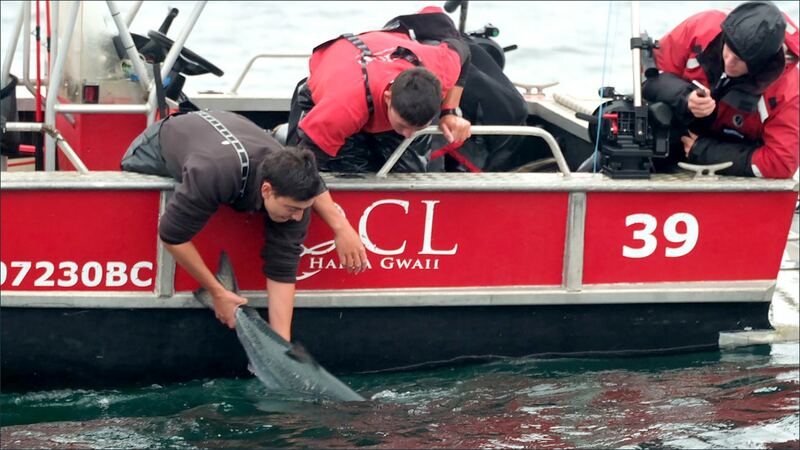 On Saturday Tony C released a hefty Chinook at Klashwun Point that measured to 54 pounds. And it was the fishing day of a lifetime for Dillon M, out with guide Tegan Baxter, who landed not one, but two fish over 50 pounds on the same day! 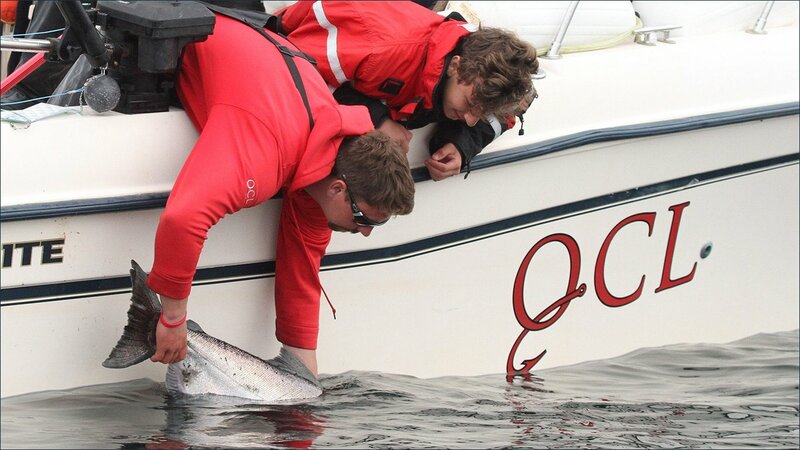 About an hour after releasing a huge Chinook that taped out to 50 pounds, they hooked another, even larger fish. This one scored 55 pounds and placed Dillon in the record books as one of a select few to have done so well. Congratulations to all QCL anglers who have seen some of their fishing dreams come true! The weekend weather forecast looks like light winds out of the west to northwest and mixed skies. Tides will be moderately large with swings of around 12 feet. Well done. Release those big fish so they can reproduce big fish.